Pecorino Toscano PDO is a Tuscan soft or semi-hard cheese with whole sheep’s milk. It can be enjoyed in two typologies: Fresco (fresh) and Stagionato (Aged). Production Area: Pecorino Toscano PDO is entirely produced in the whole Region of Tuscany but also in some municipalities of the Region of Latium and Umbria. Appearance and Taste: Pecorino Toscano PDO has a cylindrical shape, flat face with a slightly convex edge. It is characterized by a yellow rind, whose tone varies depending on the treatment. The cheese is compact, soft when cutting. It is white, slightly straw colored for the Fresh typology, tender when cutting and with the possible presence of small eyes, which are not evenly distributed in the Aged cheese. The maturation of the Aged typology is 120 days minimum, the Fresh one 20 days minimum. The flavor is fragrant and pronounced, depending on the methods of production. Origins: Breeding of sheeps in the area of Tuscany started with the Etruscan people, but this cheese had origin in Roman Times. In the XV century, Pecorino Toscano PDO was called “March cheese” due to its production in the month of March. Production: The milk must be curdled at a temperature between 33°C and 38°C (91°C and 100°F), with the addition of calf rennet or vegetable rennet. The milk can be raw or heat treated until pasteurized and may be inoculated with native natural or selected starter cultures. The curd is then placed in molds to purge the whey. Salting takes place in brine, eight hours for the soft cheese and 12-14 hours for the semi-hard cheese, or with the addition of salt on the rind; semi-hard cheeses are ripened for a longer period of time. Gastronomy: Pecorino Toscano PDO is a great grated cheese, it can be flavor first dishes and it’s also very good to be eaten alone or with honey and fruit. Pecorino Toscano PDO has to be stored in the least cold department of the fridge, wrapped in a cotton cloth slightly moistened. Suggested Wine Pairings: Sangiovese, Chianti. Pecorino Toscano PDO has a fragrant and pronounced flavor. In this recipe we find three Tuscan products: from the delicate taste of Prosciutto Toscano PDO, to the piquant flavor of Pecorino Toscano PDO. The olive oil is the Toscano PGI. There are two main types of Asiago PDO: Asiago Fresh PDO and Asiago Aged PDO. Gorgonzola PDO is a soft cheese, with bluish-green marbling. Grana Padano PDO is a hard and fine-grained cheese from raw cow’s milk. Montasio PDO is a cooked hard cheese. It has a cylindrical shape with flat sides, with a smooth and elastic rind that darkens in color the longer it is matured. Mozzarella di Bufala Campana PDO has a roundish shape, but other shapes are permitted (nuggets, braids, pearls, little knots, cherry, eggs). Parmigiano Reggiano PDO has a cylindrical shape with a diameter of 14-18 inches, a height of 8-10 inches and a weight of 66-88 pounds. Pecorino Romano PDO is a hard-cooked cheese, produced with whole sheep’s milk from pasture-grazing herds raised in the wild. This is a soft or semi-hard cheese, produced with whole sheep’s milk in two types: Fresco (fresh) and Stagionato (Aged). Piave PDO is a hard, cooked-curd cheese with a compact texture and an elastic structure that crumbles easily with ageing. 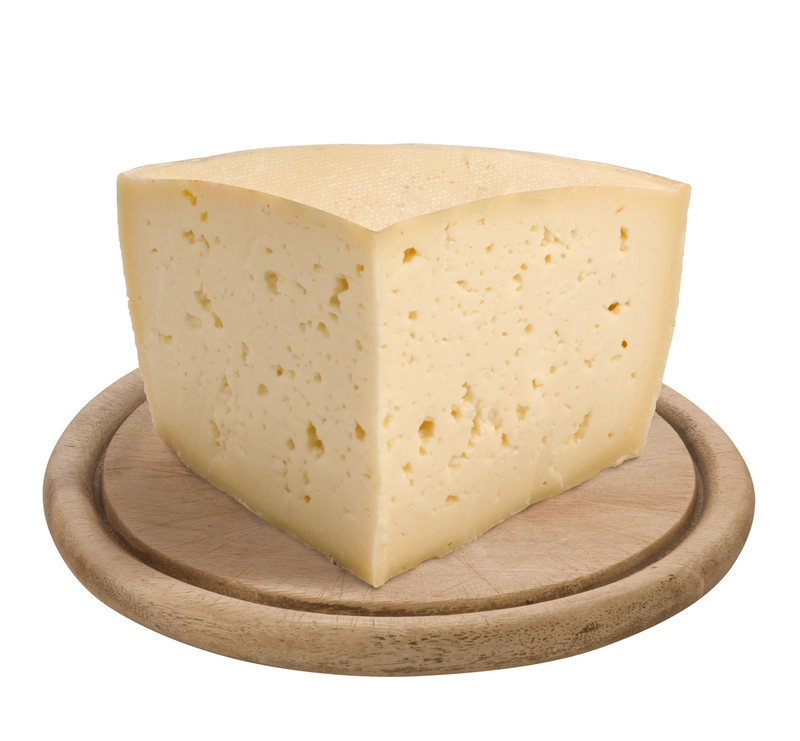 Provolone Valpadana PDO is a semi-hard whole cow’s milk cheese with a smooth rind. Taleggio PDO is a cheese produced with whole, raw or pasteurized cow’s milk. © 2019 ITALIANTRADE - ALL RIGHTS RESERVED.